How Far is Sri Sathya Sai Nagar? Wisdom Sri Sathya Sai Nagar is located in Chennai. This project comprises of all features that a contemporary home buyer would wish to have. Wisdom Sri Sathya Sai Nagar is a part of the suburban area of Guduvanchery.Guduvanchery is connected to near by localities by wide roads. Inhabitants of the locality have easy access to public facilities like schools,colleges, hospitals,recreational areas and parks. The facilities within the project are elegantly crafted. For over a decade, Wisdom Properties, the market leader, has played a major role in the real estate industry. Wisdom Sri Baba Nagar Phase III a plotted development of the builder planned with various dimensions of plots in Sriperumbudur. 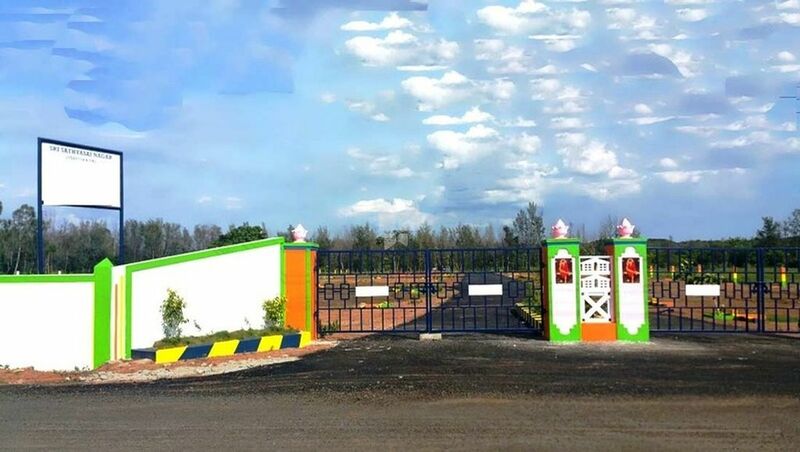 The builder has been helping people looking for properties to invest in one of the projects planned for one of such project is Wisdom Sri Saibaba Nagar in Maraimalai Nagar, GST. Wisdom Sri Sathya Sai Nagar – Walajabad another plotted development. We are a professionally managed company that has promoted several projects in and around Chennai, Tamilnadu. We are optimum and modest realtors promoting secured plots in ideal locations worthy of our customers' investments. Commitment to excellence, our motto, which greets our global customers, keeping in mind their maximum benefits. Investing in a Wisdom Properties promoted land is an assured appreciation of property year after year as we take efforts to hand over CLEAR TITLE lands at affordable rates in prime locations. Commitment towards quality with honest, reliable and dependable dealings that is endorsed by major housing finance companies helps us bring your dream come true. In the recent years, Government of Tamilnadu is focusing on the infrastructure of Chennai and the surrounding suburbs. Adding to Market growth, south Chennai suburbs are experiencing heightened activity as multi crore companies are changing the skyline. Chennai City has grown and expanded, embracing what was once known as the outskirts, Guduvanchery, Singaperumal Koil and Oragadam, now becoming the hot hubs of Chennai with multinational companies investing in crores.